New applications are not being accepted at this time, but information will be posted to this page when the next academy is scheduled. The City of Corpus Christi is currently accepting applications for Firefighter / Paramedic. Learn about the City of Corpus Christi's Fire Code Inspections and Permits process and the International Fire Code (IFC). Find the documents needed for Companies or Organizations to request reentry into an evacuated area in the City. The City of Corpus Christi has adopted the 2015 International Fire Code (IFC). 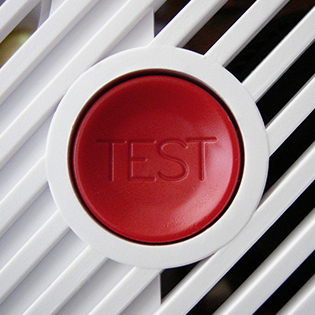 Is your business compliant with the City's Fire Code? Here are some common Code Violation you can check for now. Fire Escape Planning and Home Inspections are available to residents upon request to the Corpus Christi Fire Department. Fire Extinguisher Training as a presentation or as a hands on demonstration is available to all community groups or businesses. Only adults may participate in this training. Fire Safety Presentations and Health Fair Booths are available to Senior Citizen’s groups, community centers, neighborhood association meetings, and other organizations. 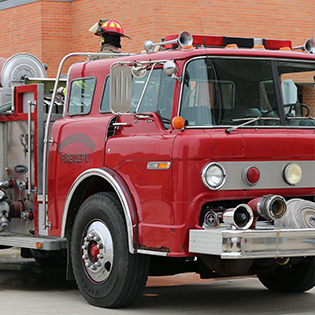 Fire Trucks are available to come to your school, parade, or event although they will remain in service. All requests should be made at least two weeks in advance. The City of Corpus Christi and Nueces County have partnered to provide an emergency alert program for citizens called ReverseAlert. 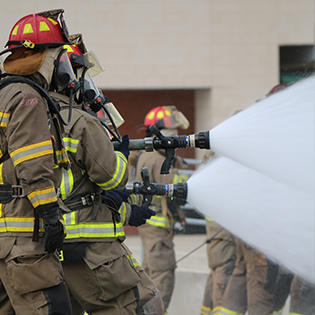 Since 1874, the Corpus Christi Fire Department has worked to protect citizens from fires, natural disasters, and emergency situations. If a fire starts in your home you may have as little as two minutes to escape. Fire safety practices and home preparation can save lives. The Fire Prevention Bureau is dedicated to public education and fire code enforcement. The Training and Safety division provides a thorough education. As we say, "Train as if your life depends on it, because it does!" 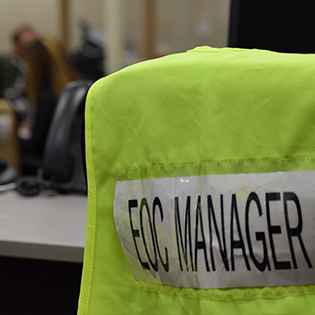 Learn from our expert emergency management team. 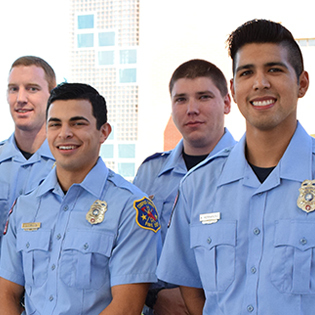 Pursue a rewarding career with the Corpus Christi Fire Department. 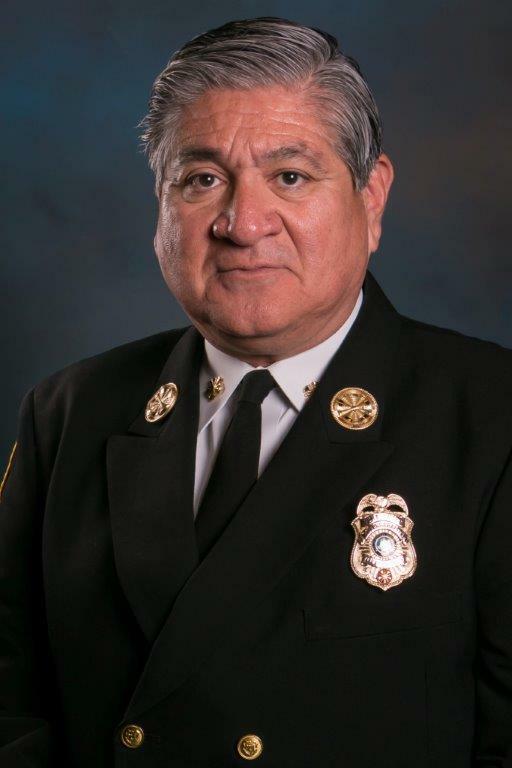 Robert Rocha currently serves as Fire Chief for the City of Corpus Christi, Texas. Previously, he served as Senior Deputy Fire Chief with the Kansas City, Kansas Fire Department and retired in 2011 after 28 years of service. Robert was born and raised in Kansas City and graduated from JC Harmon High School in 1975. He started his career in the fire service as a Firefighter in 1982 and progressed through the ranks serving as a Fire Apparatus Operator, Fire Captain, Battalion Chief, Fire Marshal, Assistant Fire Chief and Deputy Chief. 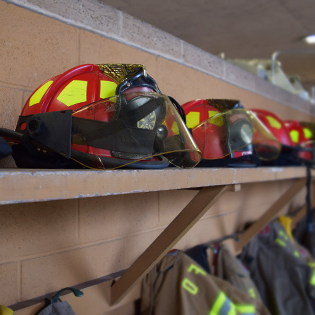 Since becoming Fire Chief for the City of Corpus Christi, Chief Rocha has reorganized the department to improve efficiency and work performance. The department has added two medic units taking the fleet from nine (9) to eleven (11) units with no additional personnel. He continues to move the Fire Department forward in the usage of new technology and has added a Drone team to assist and has provided valuable information to Incident Commanders during fires and natural disasters. Chief Rocha was part of the leadership team consisting of the Mayor, City Manager, Police Chief and Emergency Manager in leading the response and recovery efforts after Hurricane Harvey in August 2017. Chief Rocha was recently elected to the International National Fire Chiefs Association – Metropolitan Fire Chiefs Executive Board. Chief Rocha has an Associates of Applied Science Degree from Kansas City Kansas Community College where he majored in Fire Science. He also holds a Bachelor of Arts Degree from MidAmerica Nazarene University where he majored in Management and a Master’s degree in Business Administration from Benedictine College in Atchison, Kansas. He is also a graduate of the National Fire Academy in Emmitsburg, Maryland and is certified by the state of Kansas as a Project Manager.